Marvel Comics’ second Civil War is in full swing now, with the main miniseries and multiple tie-in issues out in the wild. Civil War II started with a major character death and superstar writer Brian Michael Bendis explains why it had to happen that way. 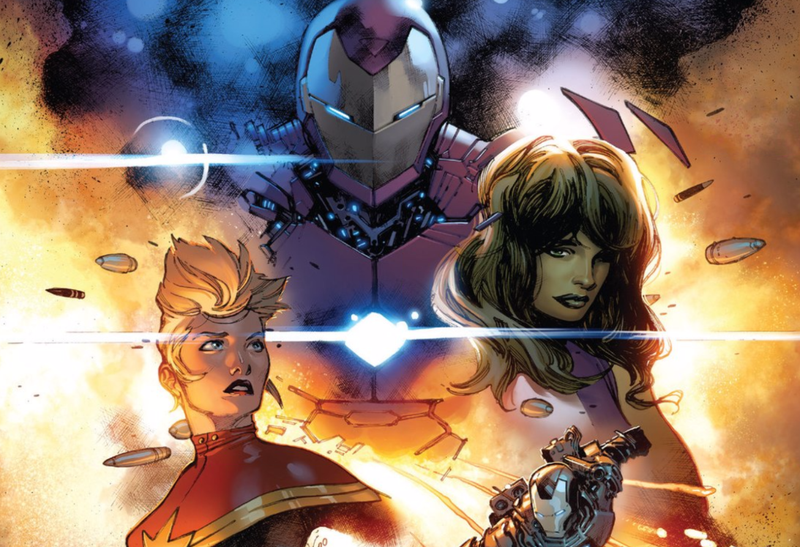 When I spoke to Bendis over the phone last week, the topics ranged from his feelings about seeing Alias adapted into Jessica Jones for Netflix, the second season of Powers and being an Aaron Sorkin fanboy, but I felt like I had to ask him about the character death that brings Iron Man and Captain Marvel into conflict. What follows is an edited version of our conversation on that topic. io9: Did you already know that Rhodey was going to be seriously hurt in the Civil War movie? I know people think that Marvel lets me do whatever I want. But that’s not a relationship that I’m interested in or would be very helpful to anybody. People who do really keep me honest said, “Oh no, no, no, this is a completely different story.” We knew what we were going to get out of it down the road.” So I went with it. I thought I would get more sass about that. I didn’t. I was surprised. I appreciate that. So as a bit of a segue, it seems that you’re setting things up for the new character Ri Ri to potentially take on the War Machine mantle in Invincible Iron Man. You can read the entire edited transcript of my conversation with Bendis right here.